Designed for all .30 Calibers (308 to 311 bores), will clean any .30, .30-06, .30-30, .300 Win. Mag .303, .308, .32, 7.62, 8mm. 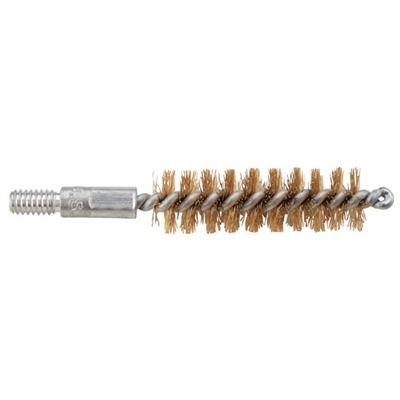 Cleans your gun while protecting the bore from abrasion. Stiff bristles scrub away the dirt and will not damage the gun in the process. 8-32 Male Thread.